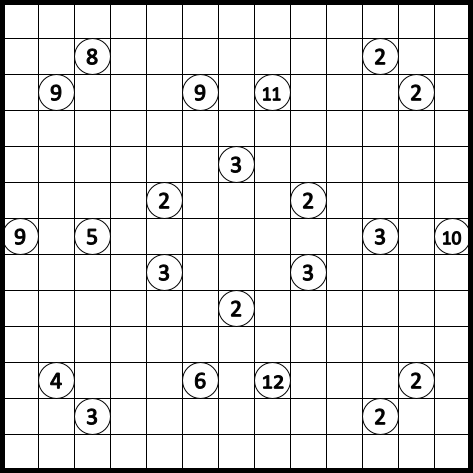 To the people who keep asking me to create a Sudoku: Its a doku, so I’m halfway there. 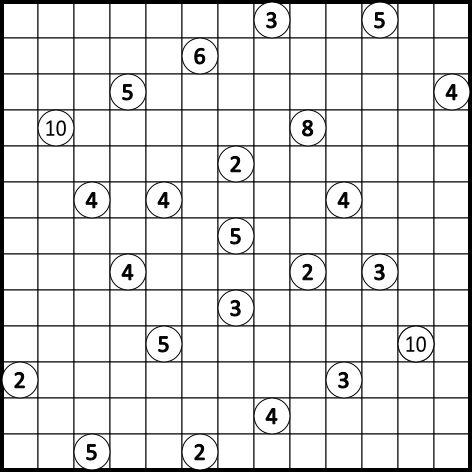 The puzzle itself is not even close to a Sudoku though. I’ve seen this one first on … Am I gonna go through this again? 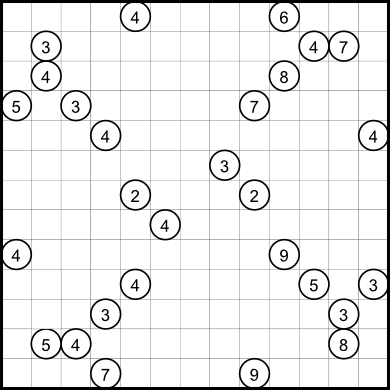 It’s path to this blog is exactly the same as that of the Norinori post 5-6 puzzles ago. Mathgrant and Mokuani are awesome. ^^ Embarrassing mistake on the name. Guess we all learn from ignorance. 😛 I have somehow managed to solve about 40-50 of these taking the spelling for granted. Ah well.. Thanks to Mathgrant for pointing it out. Rules for Kurodoko (A.K.A. Blackbarrier Jam under Mathgrant’s wonderful naming conventions). Rated : Medium I suppose, even though I’ve messed it up a little.